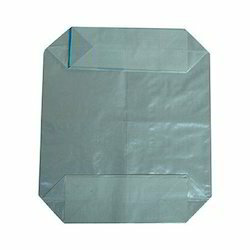 Manufacturer of a wide range of products which include bopp pouches and bopp laminated pouches. Our organization is recognized in the industry for offering an interesting collection of BOPP Pouches. Our experts use high quality of material for manufacturing these BOPP pouches along with advance machines following the market norms. These BOPP pouches are applauded among customers due to its excellent shine & finish. Customers can easily purchase these BOPP pouches from us within a committed time frame at affordable rates. By keeping track of current market trends, we are offering a commendable assortment of BOPP Laminated Pouches. Our pouches are provided on several customized sizes & designs options so as to meet the needs of customers. These pouches are designed using top-notch material & leading techniques at par with internationally approved standards. Offered pouches are well checked on diverse parameters by our quality controllers in order to ensure its flawless range.